WEIGHT WITH CARRIER IS APPROXIMATELY 475 LB. BREAKER IS A 400 FT/LB CLASS BREAKER. 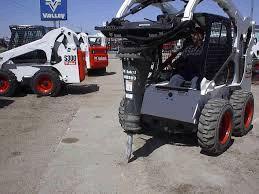 * Please call us with any questions about our hydraulic jackhammer for skid steer rentals in Lake Charles and Moss Bluff LA.